Tony Hanson is No. 1 on career field goals list, 784, No. 2 on the single season scoring average list, 26 per game, and No. 3 on career scoring list with 1,990 points. 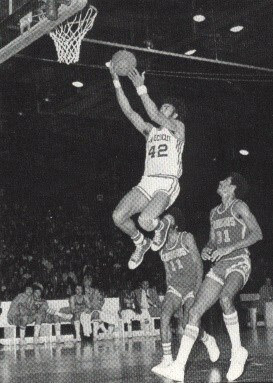 He was a Guard at UConn from 1973 – 1977, he’s a member of the UConn Basketball All Century Team and he has been the Head Coach of the Teeside Mohawks Basketball Club in England for the past 13 years. I had the pleasure of meeting Tony in January, 2004 when he was in CT visiting. Holy Cross but over the years with the three-point shot being added and the pace of the game changing, becoming quicker, he lost the records. 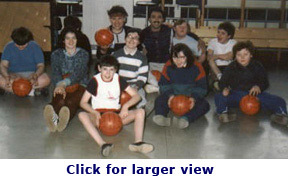 Tony was given the opportunity to play basketball in Italy and he decided to go. He spent two years in Udine, Italy then went to France and played for a year. Tony suffered an ACL injury and was unable to play basketball for the next two years. He came back to the states to rehabilitate his knee and he also did a little bit of coaching at AI Prince Technical School in Hartford, CT and Northwest Catholic High School, in West Hartford, CT. This worked out very well for Tony because in Europe there is a big demand for player/coaches. Tony went back to Europe and was recommended by a former player/friend, Joey Whelton to become a player/coach for a team in England. Tony was there for two years then went to Ireland for two years as a player/coach and ended up going back to England 13 years ago, where he still lives. 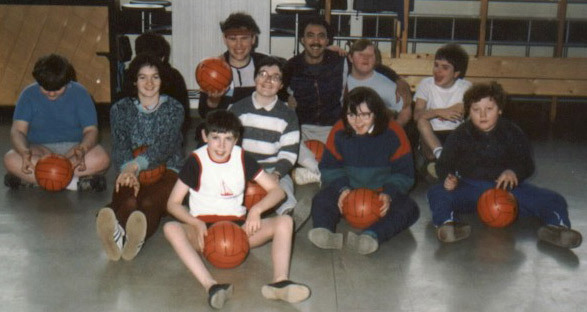 Tony has been coaching a team called Teeside Mohawks Basketball Club and has built it to be a very successful club, one of the most successful in the country. His team is five-time National Champions and for the past two years, with the help of a former UConn player, E.J. Harrison, the team has been triple champions also winning the National Trophy and the League Championship. That had not been done in the last 45 years by any team and his team is on track to do well again this year. 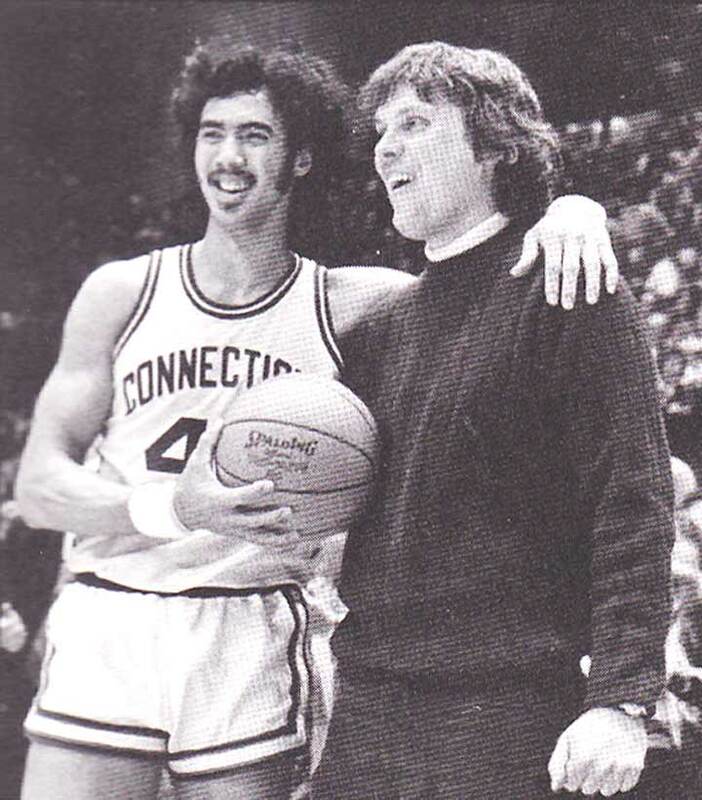 an exchange program between CT and England that Jim Abromaitis, another former UConn player, has been culturally involved with. Some of the kids from England have had the opportunity to go to Coach Calhoun and Coach Auriemma’s summer basketball camp. At this time Tony coordinates the project on an advisory level and spends time speaking at conferences on subjects such as social inclusion in an effort to influence policy and decision makers to help other projects that need support. Whenever Tony has available time he drops in to where the kids are in the program to help out. Tony told me that obviously his interest in developing “Project Hoop Dreams” comes from having been helped by one of the community projects himself. He grew up in the projects of Waterbury, CT. “I’m a product of something that works.” These community-based initiatives have been in place in the United States for a long time but they are a very new phenomenon in England. Tony said that UConn must bring its A game with them every game particularly during the NCAA Tournament because every team wants to play well against UConn. Tony was not able to go to the Final Four in 1999 and probably won’t be able to go this year if UConn is there because that is the time that his team is in the middle of their playoffs. 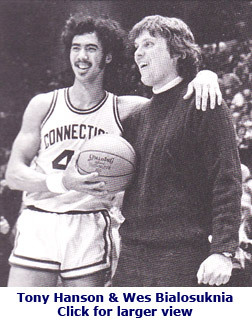 But, he certainly keeps in touch all the time with what is going on and who’s doing what on the UConn team. "I would love to come back here. It would be wonderful to come back to CT and have an opportunity to coach. I’ve always felt that the tradition at UConn is so powerful it would be wonderful to have an opportunity back there."